Connects to CBL™ 2 compatible graphics calculators. 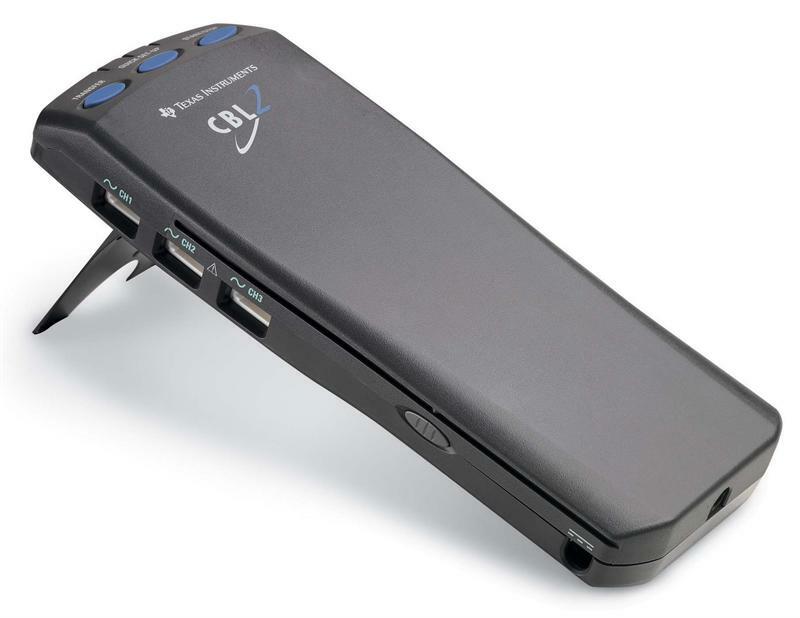 CBL™ 2 is the next generation TI handheld data logging solution. It’s an easy-to-use, affordable, powerful multi-purpose tool designed for experimenting with one or more probes. With a built-in user program stored in the CBL™ 2 Flash memory, you can start collecting data right out of the box. Built-in user Program: Transfer the program to your calculator with the push of a single button. View multiple channels of data logging in real-time mode. Store multiple trials of your experiment. Save experiment set-ups. Quick set-up mode: Collect data without the calculator using auto-ID probes. Reconnect to a calculator or computer to retrieve and analyze the data. Flash Memory: Update your user program with the most current version of software. Innovative Cradle System: The CBL™ 2 and graphics calculator become one unit for portable single-handed use. Cradle will accept the student and ViewScreen™ versions of the TI-73, TI-82, TI-83, TI-83 Plus, TI-83 Plus Silver Edition, TI-86, TI-89 (cradle will not accept old-style TI-82 VSC). Supporting Stand: Prop up your CBL™ 2 for easier handling. Four channels for data collection: 3 analog, 1 sonic/bi-directional digital. Measure motion, temperature, light, pH, force, dissolved oxygen, pressure, and more with appropriate probes. Includes 3 probes: an improved stainless steel temperature probe, voltage probe, and light probe. Also includes an innovative cradle system and a six-inch link cable. Also includes a Teacher Guide containing experiments for science and math, a TI resource CD, & 4 AA batteries.